These nominees are pure magic! 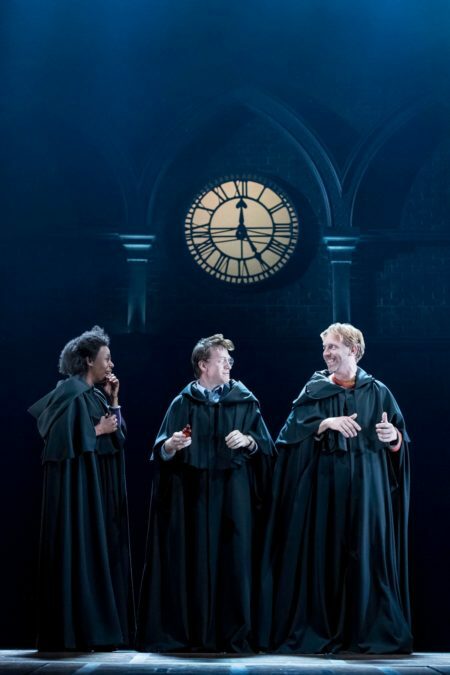 London's Broadway-bound production of Harry Potter and the Cursed Child nabbed 11 nods when the 2017 Olivier Awards nominations were revealed on March 6. Groundhog Day, which begins Broadway performances on March 16, garnered eight nominations. The Olivier Awards ceremony will take place on April 9 at London's Royal Albert Hall. Harry Potter and The Cursed Child’s 11 nominations ties with the current record-holder for the most-nominated production, which was Hairspray in 2008. The play, which sees J.K. Rowling’s magical world brought to life, is nominated in the following categories: Best Actor, Best Actor in a Supporting Role, Best Actress in a Supporting Role, Best New Play, Best Set Design, Best Lighting Design, Best Costume Design, Best Sound Design, Best Director, Best Theatre Choreographer and Outstanding Achievement in Music. Jamie Parker received his first nomination for his portrayal of Harry Potter. In addition, Andrew Lloyd Webber received nominations for three separate productions: Sunset Boulevard, Jesus Christ Superstar and School of Rock; he currently has four shows running on the Great White Way. Glenn Close, who is currently reprising her Tony-winning role as Norma Desmond in Sunset Boulevard was nominated for her performance in the London production of the show. Cherry Jones, who was nominated for the 2014 Tony Award for her performance in The Glass Menagerie received a nomination for reprising her role in the West End. Six-time Olivier Award winner Sir Ian McKellen received his tenth Olivier Award nomination for his performance in No Man's Land. As previously announced, Kenneth Branagh is set to receive this year's Special Award at the ceremony. Take a look at the full list of nominees below!